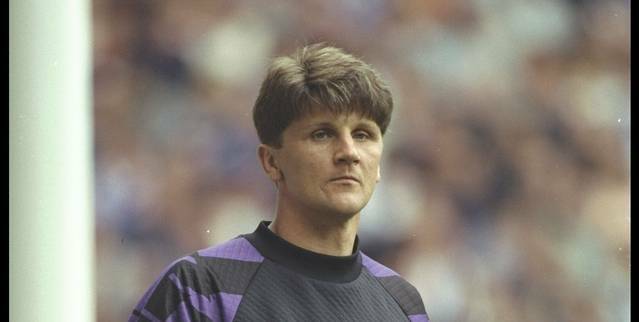 This entry was posted in Football, Leeds United and tagged 1960, Arsenal, Champions, John Lukic, League Cup, Leeds United, Munich Air Disaster, Wembley. Bookmark the permalink. He is the best Leeds goalkeeper I have seen when faced with a one-on-one. Shame it all went massively down hill after the title win. I am sure he still must have nightmares about that night in Glasgow. I remember this game Mr O – I was on the Kop that night. We’d just taken the lead near the end of extra time – it was either Connor or Butterworth at our end – and then I think it was Graham Rix who hit that free-kick down at the South Stand – more in hope than expectation, I’m sure. I remember being gutted as it was the first time we’d met a big club since relegation the previous May – and we’d so nearly beaten them in this epic tie.